The Baymard Institute recently published a study on product page layouts and designs, as well as content types and features. 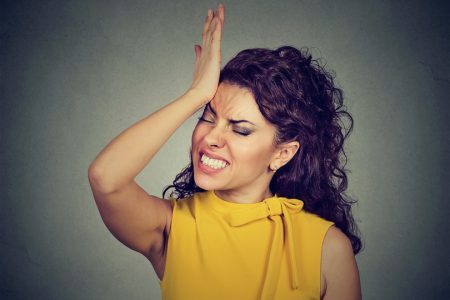 The study, which lasted for two years, found that 82% of websites still have severe UX issues. Yes, that’s a large number of websites. 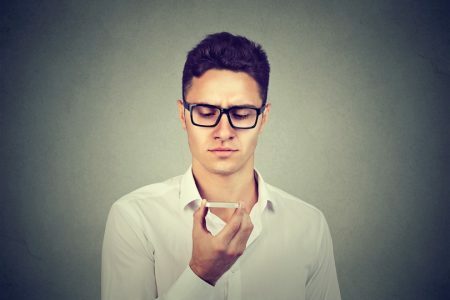 Even top retail websites like Amazon, Sephora, and Best Buy have a bad usability score, according to the study. The good news for you is that you can leverage this information to get ahead of your competitors. You can beat them by redesigning your product pages to improve their usability, which will enhance customer experience. People trust content from other consumers. That’s why user-generated content has been serving as effective social proof for many eCommerce retailers. However, most retailers are still using only text-based customer reviews. 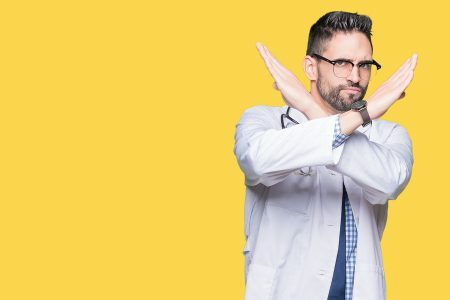 While these reviews still serve their purpose, you could take it up a notch and display customer-generated photos on your product pages instead. Photos of your product being used or showcased by your customers help put your product in context. It serves as visual social proof that could significantly influence the purchase decision of prospective customers. Plus, you’re reducing the need for them to look around for customer photos to see how your product actually looks. A study by Olapic has even found that one out of four respondents has been prompted to buy a product after seeing it in user-generated content. 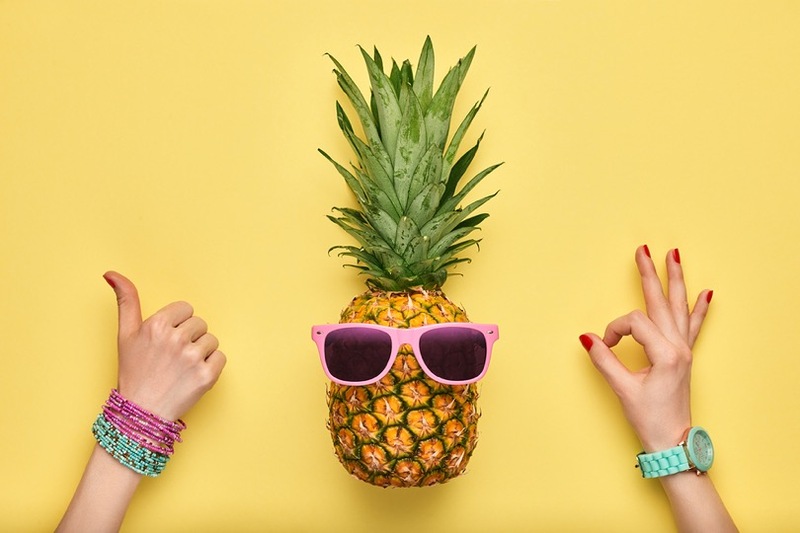 Relatable or positive user-generated photos have increased the likelihood of buying a product for 56% of the study’s respondents. And out of all types of user-generated content, photos were the most appealing to 52% of respondents. So I suggest you redesign your product pages in such a way that there’s room for relevant customer-generated photos. Ideally, you should be placing these photos below other important elements such as product image, title, description, CTA, etc. This is to ensure that there’s a smooth user-flow and the photos don’t distract shoppers from converting. I recommend following the example of websites like Black Milk Clothing and assigning a unique hashtag for each product. You can display this hashtag on the product page and encourage shoppers to share photos of their purchases on Instagram for a chance to be featured. You’ll easily be able to collect relevant customer-generated images for each product page. 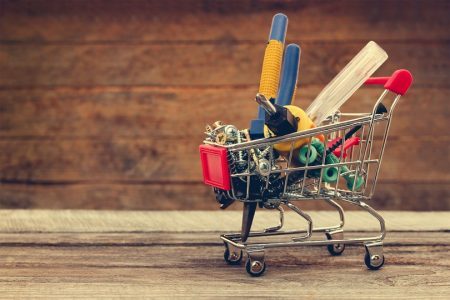 When you want to drive conversions, you naturally want your customers to quickly get from the product page to the checkout page and complete their purchases. But even from the customer’s’ point of view, the quickest and easiest purchase journey enhances their experience. That’s why I recommend adding interactive elements that guide customers to your product or landing page. Interactive elements can be an engaging way to educate your prospective customers about the product. Customers won’t have to look through huge blocks of text to learn what your product can do and how it can help them. The product information can then guide their purchase decisions. 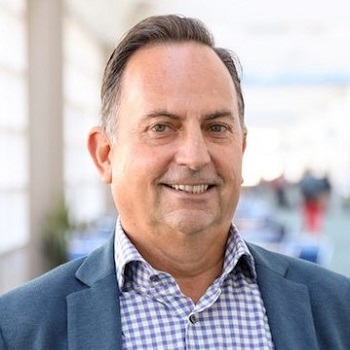 And the smooth purchase journey will enhance their experience, possibly even compelling them to come back as return customers. 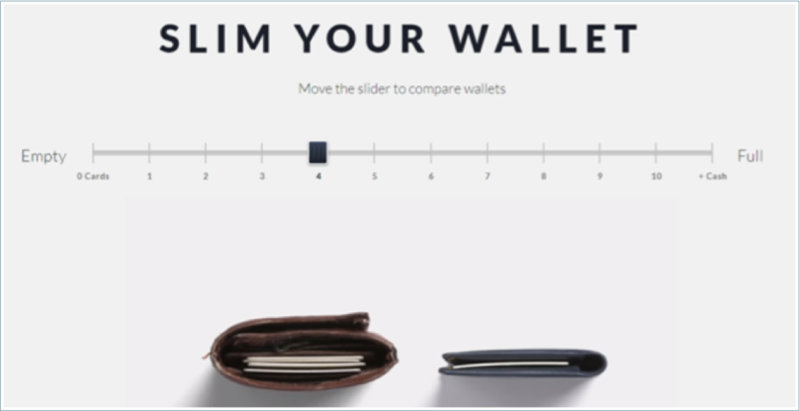 I really like Bellroy’s interactive wallet comparison tool. The tool lets you compare how a regular wallet and a Bellroy wallet look depending on the number of cards they hold inside. It also provides visual proof of how slim their wallets are, strengthening their value proposition. 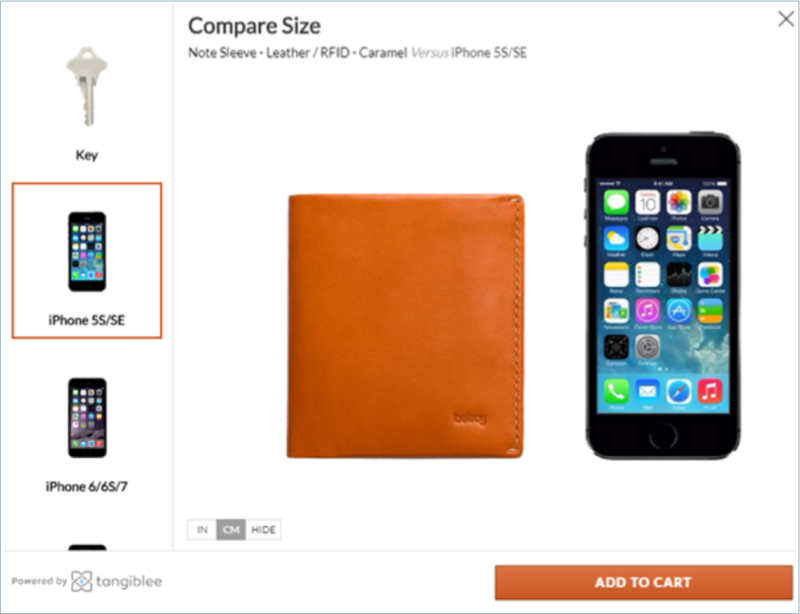 In addition to this, Bellroy includes an interactive size comparison guide on each of their product pages. Shoppers can choose from different products such as a key, a passport, a phone, or a dollar bill. And they can compare the size of these items with the product they’re viewing. They can also move the product around to further view it in context. When you’re adding interactive elements to your product pages, however, make sure you keep mobile shoppers in mind. Mobile conversions are gradually increasing, with 31% of total purchases resulting from mobile sales in 2016. This goes to show the growing need for retailers to design their websites for mobile shoppers. So make sure that whatever interactive element you add to your product pages also works on mobile devices. As mentioned earlier, you need to make sure that your page visitors can quickly complete their journey from the product page to the checkout page. Another improvement you can make to achieve this goal is with your product filters. This idea is to optimize your product filtering system in such a way that people find it even easier to find exactly what they’re looking for. The filters would vary according to the niche of your eCommerce business. For clothing stores, for example, filters such as size, color, price range, brand, etc. are a must. 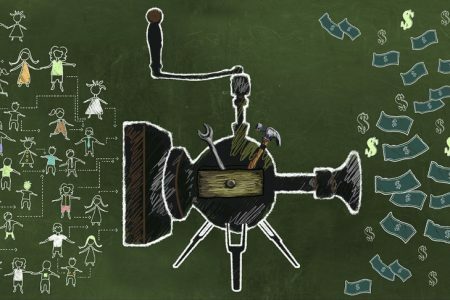 In case you’re selling electronics, you’ll need to add filters such as features, price range, brand, color, condition, etc. And if you’re selling kids’ toys, you can have people filter their results based on kids’ age and type of toy (puzzle games, action figures, arts, and crafts, etc.). 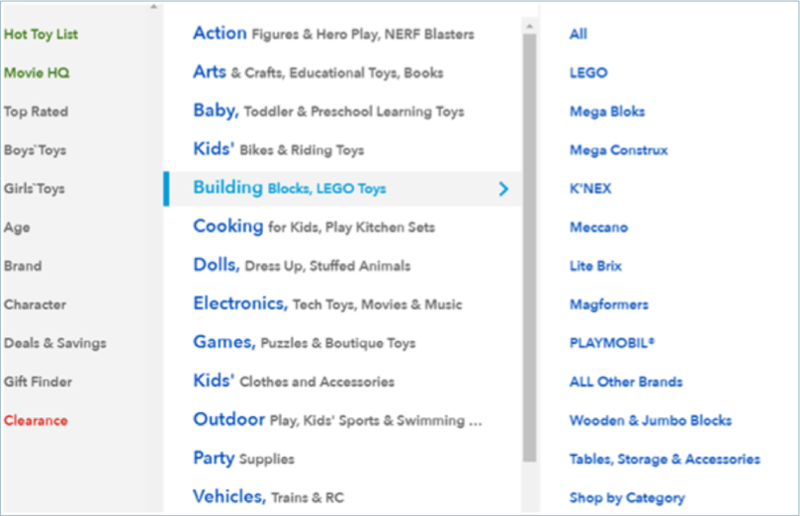 Toys “R” Us, for instance, has tons of product categories that make it easier for shoppers to find what they need. Even in the search result pages, they’ve added plenty of filters that further enhance the search experience. Shoppers can look for products based on category, price, color, size, age, brand, ratings, and more. Include a button that clears all options so customers can start their search from scratch without having to delete each option. This will significantly reduce the time taken to find what they need and result in a quicker purchase journey. Make sure the product filter is in contrast with the rest of the page so that it stands out. And you should also opt for font size that’s large enough to read and easy on the eyes. Try testing different positions to see where you should place your product filter. You can either place it at the top sidebar or the left sidebar. What works for others may not necessarily work for you so it’s crucial to see which positioning your visitors are most responsive to. How you explain your product has a huge impact on how people feel about it. You may have gotten used to listing out the product characteristics and features as is. And even if you explain these features, you’ll mainly be talking about what the product can do as opposed to how people can benefit from it. While this current method works well for you, you might want to review your strategy and improve on your explanation. Instead of simply writing out what the product does, you should start writing about how people can use the product and what they can achieve with it. For instance, instead of only talking about how your earphones are waterproof, you can talk about how people can enjoy listening to music while indulging in their favorite water activities. Here’s an excellent example I found on the JBL product page for their Splashproof Bluetooth Speakers. If you read it carefully, you’ll be able to see how they’ve written the product features in a way that would resonate with the readers and establish how they can benefit from it. For example, the splashproof feature means users won’t have to worry about rain or spills. And instead of just saying that the product can be connected to other JBL Connect enabled speakers, they talk about how users can build their own ecosystem by doing exactly that. Additionally, they talk about how the materials used for making the product ensure that the speakers will outlast all of the user’s adventures. Enticing, isn’t it? One of the first things people are going to notice on your product page is the product name. So you need to make a good first impression here to ensure that people go through the rest of the page. The product name should be clear, direct, and relevant. 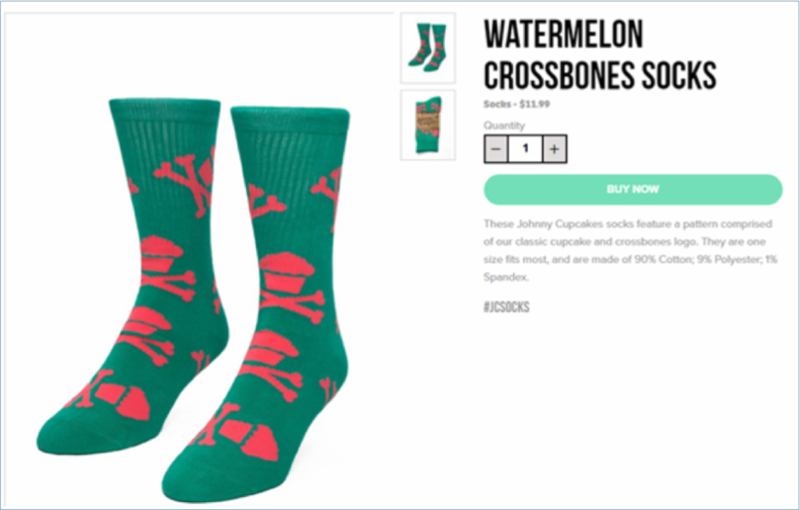 For example, Johnny Cupcakes uses the color and design as the product name in the following screenshot. Your product description is easily the best section where you can get creative and play around a bit. It’s the section where you can provide all the essential details of your product and its features. Depending on how well you write it, it’s also the section where you engage your visitors and create a desire to buy your product as well as winning the trust of potential customers. #1. Prioritize clarity – Use a voice and tone that your target audience can relate with and understand. For example, you can use a fun and casual tone when writing product descriptions for a target audience comprising of mostly teenagers or millennials. On the other hand, a more formal tone would be required to connect with a B2B audience. I really like how Hot Topic writes their product descriptions in a way that speaks to their target audience. If you go through them, you’ll be able to see that they took the time to perfect each description. 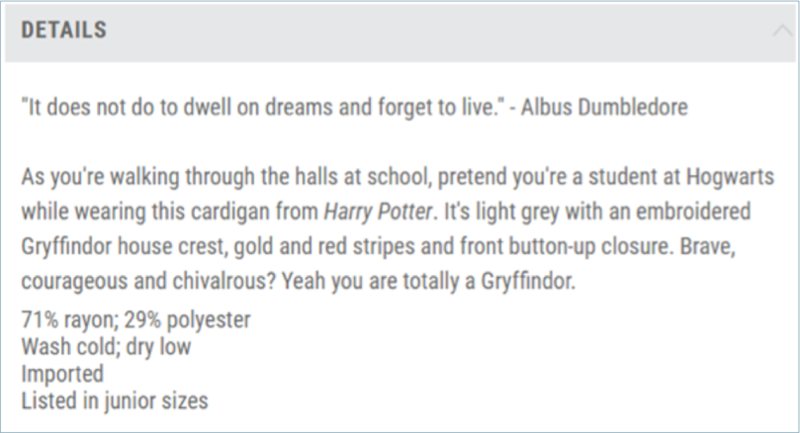 The following screenshot shows the description for a Gryffindor cardigan. They’ve highlighted some of the characteristics of the Gryffindor house in addition to describing the product. #2. Make the most of visuals – Use graphics to highlight some of the best features. If you want to make sure people don’t miss some of the product features, you can design original graphics or stickers that will clearly showcase these features. For example, if your product is made from 100% recycled material and you’re targeting an eco-conscious audience, you might want to create a sticker that highlights the same. 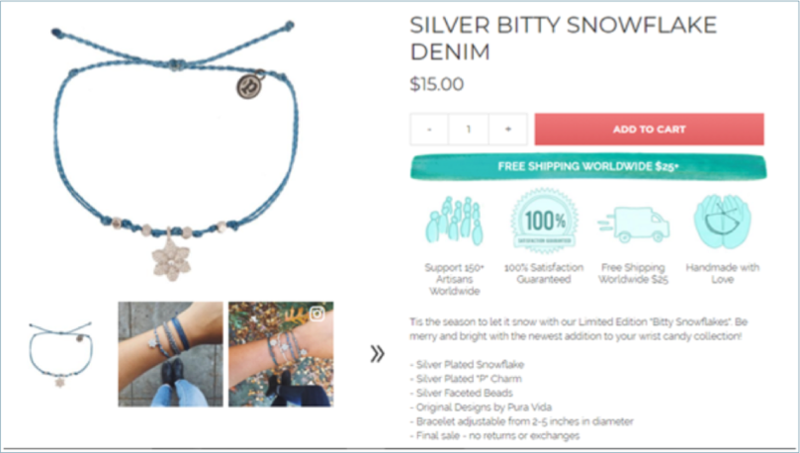 Take a look at the following example from Pura Vida Bracelets. They’ve used stickers to highlight some of the most important features such as how the product has been handmade and how they support more than 150 artisans from around the world. Or you could follow the example of Bose and accompany each feature description with a relevant visual. This can be an effective way to engage your page visitors and ensure that they read through all the important product features. In the first screenshot, they’ve displayed a video of the product where the main highlight is the strap. This is relevant to the description, which talks about the portability of the product. In the second screenshot, you can see a photo of the product being placed on top of a rock. And the accompanying description is about how the material holds up to dents and scratches. If you thoroughly read through the descriptions, you can also see that there’s clarity in the language they use (following the first best practice discussed here). #3. Improve readability – Use bullet points to make lengthy descriptions more readable as opposed to having huge blocks of text. If there are lots of features that you need to explain in the description, break them up into bullet points so visitors can process the information more easily. The Zoku Home product pages, for instance, have a short paragraph giving an overview of each product. 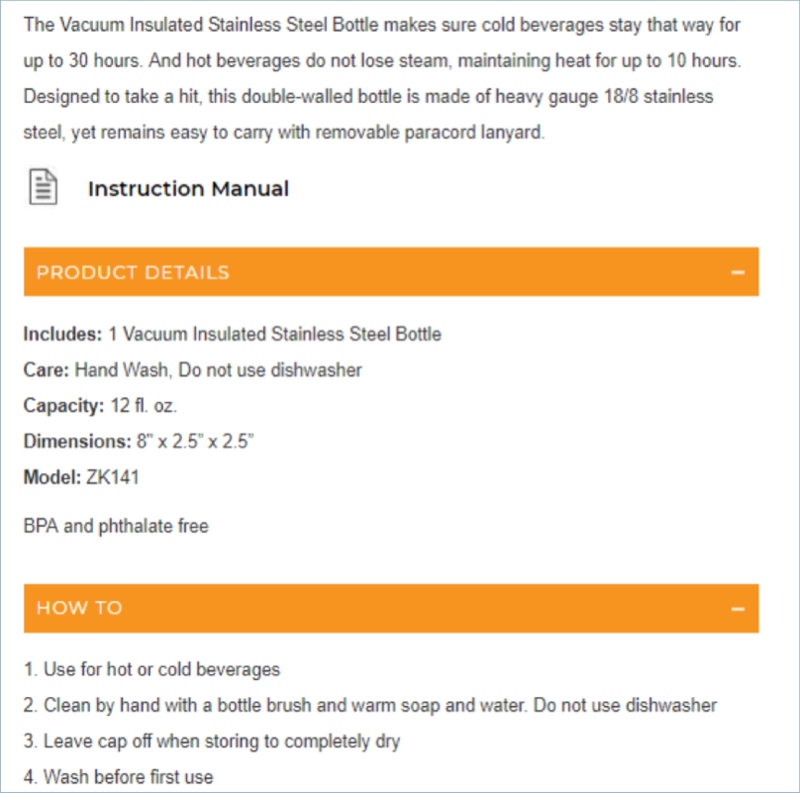 The rest of the details such as product dimension and care instructions are listed in bullet points. This is much easier for visitors to scan through rather than having them read huge chunks of text. These five creative tips should be able to help you in completely redesigning your product pages for better usability and conversions. The changes can be as simple as a rewrite of your product descriptions or you can opt for a more complex change by adding interactive elements. Make sure you run a test on every change you make to see just how much your performance is improving. Got any questions about the tips I’ve given here? Let me know in the comments.